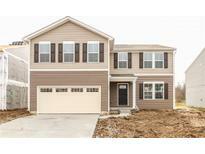 Below you can view all the homes for sale in the Homecomig At University subdivision located in Greenwood Indiana. Listings in Homecomig At University are updated daily from data we receive from the Indianapolis multiple listing service. To learn more about any of these homes or to receive custom notifications when a new property is listed for sale in Homecomig At University, give us a call at 317-308-8198. Basement awaits your finishing touches & has plumbing rough-in. MLS#21635207. Berkshire Hathaway Home. Nice Master bedroom with full bath and walk in closet. MLS#21632683. Keller Williams Indy Metro NE. Amenities include community pool, clubhouse, playground, basketball court, dog park, & walking trails. Close to I-65! 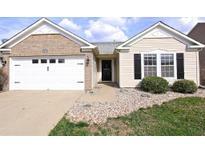 MLS#21632274. CENTURY 21 Scheetz. Neighborhood community has a pool, clubhouse and playground. Schedule your showing today! MLS#21631702. Slate Realty, LLC. Additionally the closets are spacious and there is an opportunity for a sixth bedroom. Come See it Today! MLS#21628544. Carpenter, REALTORS®. Neighborhood has pool, walking trails and playground, close to Interstate, schools and shopping. MLS#21628435. Bina Real Estate. MLS#21627779. Midland Realty Group, Inc..
Tucked away in a quiet neighborhood in Clark Pleasant School District, home is conveniently located w/easy access to the interstate, making your morning commute a breeze. Must see today! MLS#21626786. Keller Williams Indy Metro S.
Also comes with detached shed for extra storage. Just minutes from I-65! MLS#21616400. F.C. Tucker Company. This home has been very well kept and you will not be disappointed! MLS#21604943. 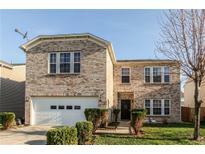 Keller Williams Indy Metro S.
Home has good storage with bonus area off of Garage plus added bump out in 2 car garage. Upper level Laundry. Neighborhood Pool! MLS#21604708. J Paul Realty LLC. Amenities included community pool, clubhouse, playground, dog park, basketball court, & walking trails. Clark Pleasant Schools. MLS#21601096. Berkshire Hathaway Home. The list goes on! Must see the beautiful home! MLS#21598748. CENTURY 21 Scheetz. Laid out perfectly & well maintained - this one will go fast! Make your appointment today! MLS#21591997. F.C. Tucker Company.